In Part One ride the cab and see trackside runbys (plus maps and aerial photography) of a northbound steam run over the famous Settle and Carlisle line in northwest England (their Horseshoe Curve or Cajon Pass). Part Two surveys some of the locomotives used on this endlessly scenic route including archival film footage. Famous loco classes are seen. Witness pristine British restorations and all-out mainline operations. Multiple cameras used when appropriate for complete coverage. 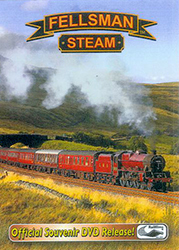 Published in the UK by Railfilms, distributed in the USA by Goodheart Productions.